At Montreal’s Startupfest on Thursday, Shopify co-founder and CEO Tobias Lütke sat down with Recode’s Kara Swisher to talk about what Shopify does, and how it can compete as a platform for online retail when giants like Facebook have a keen eye on potentially owning the space. Swisher asked Tobias about whether merchants really need Shopify’s software, when Facebook and others are trying to insert themselves as the place where people set up stores. Instead, Lütke says that Shopify uses technology to replicate a back-shop process that is very messy, since it’s been a human process for so long. That part of the product is what makes it sticky, and what makes it appealing regardless of the endpoint where customers are actually making their purchases. The recent purchase of Kit, a bot company with a commerce bent, shows how it wants to own the processes behind the scenes of selling, but isn’t precious about the actual customer interface. Swisher also wanted to know if it was possible for any retailers to compete with Amazon, which she called a “Borg”-like entity that seems to be eating the world. “Is there an alternative to Amazon? I try to avoid small sites and stores if I can, because of pricing and shipping problems,” Swisher noted, pointing out the downfalls of going to individual merchant sites. Instead, Amazon provides dependability and convenience that’s hard to resist, even if you’d like to. Lütke again reiterated that even with Amazon’s merchant tools, Shopify is the back-office that completes the stack, even on Amazon. Amazon is a channel on the Shopify dashboard, he pointed out. 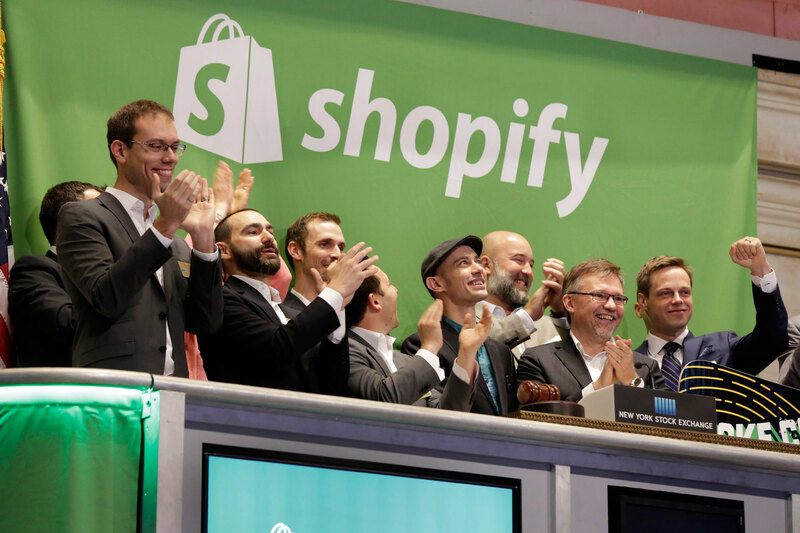 Shopify is one of Canada’s biggest tech success stories. But, Swisher asked, in the larger picture beyond individual merchants, how do big retailers compete? “I don’t think you can,” Lütke says. Amazon’s every move now sets the pace for the industry, he pointed out, using its introduction of a plan to eventually use drones for delivery as an example of where it made a move that was widely copied. Amazon does drones, we all have drones. Lütke says that even if retailers can’t compete with Amazon, he doesn’t think they actually have to. Amazon’s model isn’t exclusive of other online sellers, and instead it’s an incredibly effective channel that they can use to meet their own ends in a combination strategy that includes other channels, too. One other tidbit Lütke shared to wrap up his thoughts on e-commerce: The best-selling item on the Shopify platform currently is Pokemon-inspired jewelry, a revelation which surprised absolutely no one.